UCSC graduate students spend years on their theses and dissertations. Can they explain their research in three minutes? Join us and find out! 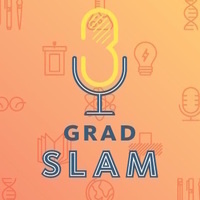 The finalist graduate students who presented at Grad Slam gave engaging and interesting talks, and the venue, the Kuumbwa Jazz Center, provided an intimate atmosphere perfect for the event. Vice provost and dean of the Division of Graduate Studies Lori Kletzer hosted, and she excelled in this role! And the food by UCSC Catering was terrific!